With myopia control, your child may be able to avoid the use of thick corrective glasses, which may lead to serious eye problems later in life. If you are the parent to a child suffering from myopia, you must be wondering if there is a way you can cure it or at least, slow the progression of the nearsightedness to prevent the changing prescription and the risks of vision loss that is correlated with medium and high myopia (nearsightedness). Recent research has started providing answers. Eye care specialists have found that it is possible to control the progression of myopia in children and teenagers. As of now, we do not have an outright cure for the condition. However, there are ways in which the progression of myopia can be controlled. Myopia control treatments may deal with induction of structural changes in the eye and altering its focus to relieve focusing fatigue, which is one of the main causes of the progression of myopia. Atropine eye drops are used to dilate the pupil to relax the focusing mechanism of the eye. Results are excellent, and this solution is ideal for children with myopia and pre-myopia who are too young to wear contacts. Atropine used in an eye exam causes blurring of the vision, for myopia control, atropine is used ultra-low low doses with no visible side effects. Thus, low doses of atropine (0.01 to 0.02 percent) are currently used in formulations. This treatment involves the use of gas permeable lenses during bed time instead of using vision correction methods for the entire day. The average reduction in myopia progression using this method is around 45 percent. Learn more about Orthokeratology & Myopia Control. Multifocal lenses, which have different powers in different areas have been found to control presbyopia and myopia. These have been seen to effectively reduce myopia progression by about 50 percent, which is similar to the results of ortho-k lenses. These soft contact lenses are used like regular contacts, leaving your child with great vision while reducing the risks of high and medium myopia. Kids love not having to wear glasses. Though this control progression rates better than single vision lenses, they are not as effective as multifocal contacts, or Ortho K (also called GVSS or CRT). Because of the low rates of slowing down myopia progression, most experts do not consider this option effective enough to fully reduce the risks of vision loss from high myopia. Not as effective as Ortho K contact lenses and soft multifocal myopia control contact lenses. Not highly regarded by eye care professionals. Glasses increase the likelihood of eye injuries in children. Social stigma and not for sports. Dr. Shane Galan has been in practice for 20 years. As a result of being one of the premier contact lens specialists in Rockville Centre, Dr. Galan has access and experience with contact lenses that other eye doctors do not currently utilize. 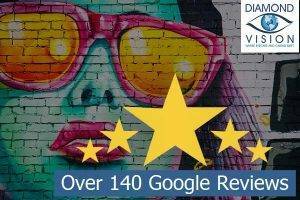 Our practice boasts amazing reviews with 110 5 star reviews on Google! 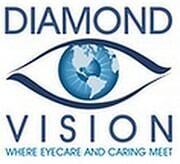 VSP, EyeMed Vision Care, UFT. We will be open the first and third Saturday of every month 8-2 and closed the second and fourth Saturday of every month. We serve Hempstead, South Hempstead, Valley Stream, Baldwin, Malverne, Oceanside, East Rockaway, Woodmere, Cedarhurst, Lawrence, Hewlett, Far Rockaway.